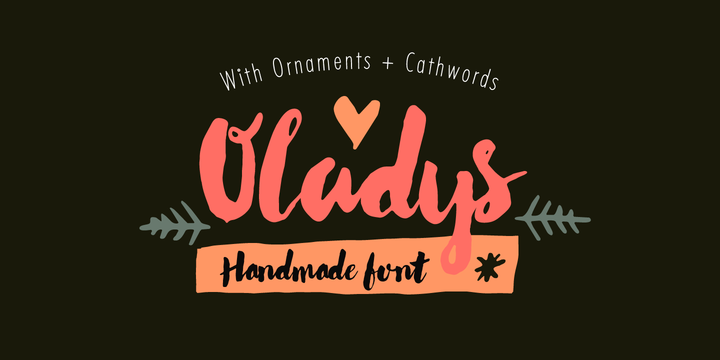 RNS Oladys is an handmade typeface created by Yorlmar Campos and published by RNS Fonts. This brush font comes with ornaments, alternates set with lower stylistic, contextual alternates, multilingual support and other useful OpenType features. It works great for invitation, poster, fashion etc. A font description published on Thursday, June 11th, 2015 in Fonts, RNS Fonts, Yorlmar Campos by Alexandra that has 3,086 views.